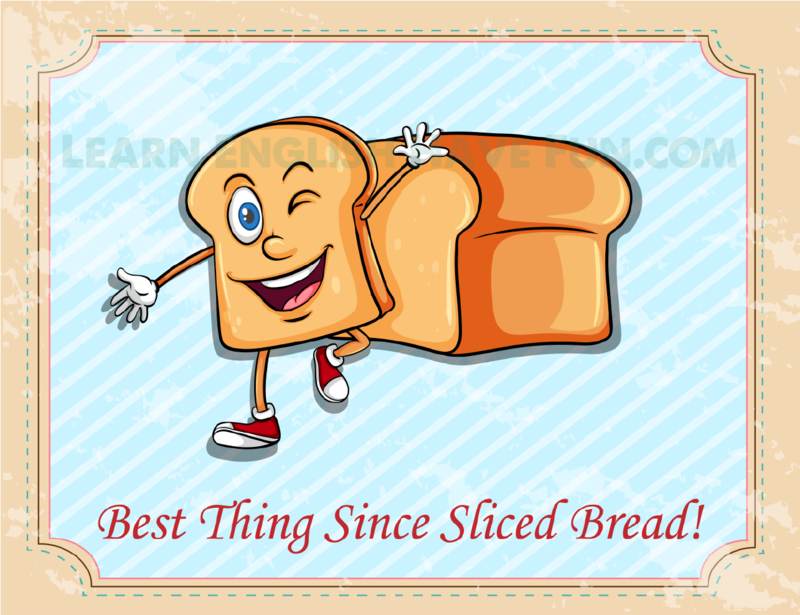 Look at the picture and try to guess the meaning of the idiom 'best thing since sliced bread.' This is a popular American English idiom so it's good to learn it. Best thing since sliced bread: this describes a new person or thing that's really great or amazing. People have been making and eating bread since...forever. It's a staple (regular item) of many diets and many people have bread with every meal. So it's not surprising that it was one of the first foods to be made with machines, which ensured each loaf had the same size, shape, color, texture, etc. This phrase expresses the idea of something new and improved—something better than things that came before it. I remember when we thought that flip phones were the best thing since sliced bread. Apple's products are the best thing since sliced bread and their competitors merely copy their products and designs. My 14 year-old brother has finally gotten his first girlfriend ever and they way he describes her to everyone is as if she's the best thing since sliced bread. In the catalog it looked like the best thing since sliced bread but in reality this hand-held fan barely produces any air. You have to try this vegan cheesecake made with almond paste—I swear it's the best thing since sliced bread. I'm using an online grocery delivery service and it's honestly the best thing since sliced bread. It's so convenient and not too expensive. Our Nespresso machine is the best thing since sliced bread—making my own cappuccino in the morning instead of waiting in line at Starbucks and spending $4 is such a luxury. My husband bought me one of those electronic step trackers saying it's the best thing since sliced bread. At first I was angry but now I'm excited because I've already lost five pounds by moving around more and walking everywhere. If you're looking for a gadget for someone for Christmas the items on this table are absolutely the best things since sliced bread. All the guys in our class think the new girl is the best thing since sliced bread but she isn't any cuter or cooler than the rest of us. The new iPhone is the best thing since sliced bread—I absolutely have to buy one. This new meal service delivers ingredients that are already measured, chopped and sliced and ready to cook—it's absolutely the best thing since sliced bread and saves me so much time preparing dinner. It's your turn now! Write a comment in the box below and practice what you've learned. 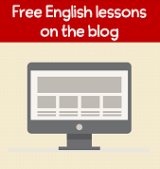 This is absolutely the best way to remember new vocabulary and idioms.